As I was pruning my roses this morning, I was thinking about the irony of roses on Valentines Day. In my corner of the world, the roses have gone dormant and it is time to prune. I have learned that if a rose is not pruned in the winter, various diseases will cause problems when spring and summer come along. 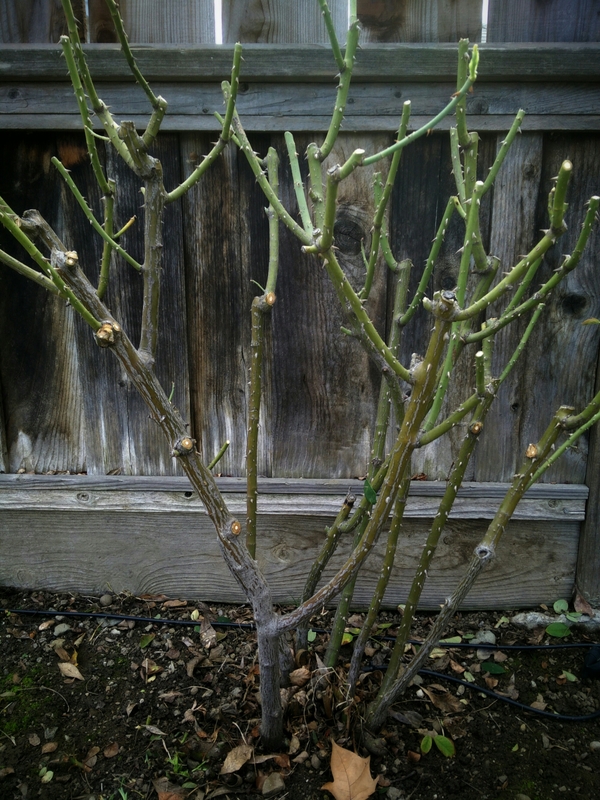 The pruning process cuts back the stems, removes dead branches, overgrowth, and any diseased parts of the plant. It is a very tedious process. The roses will also need to be fertilized, dormant spray applied, and watered to be their best. Roses are a lot of work. Our relationship with those we chose to be our partners takes a lot of care, just like a rose. If we neglect our relationship with our significant other, the disease of unhappiness will settle in and it will not be its best. Not taking the time to be with a spouse does not feed them the love all successful relationships feed on. While a gift of roses on Valentines Day is the standard fare, it takes the rest of the year to make a relationship strong. You two have it right!!! Happy Valentines Day, Susan & Jeffrey! This is so very true.!! Relationships with your significant other can be beautiful and sweet, but they also require a lot of work and effort. But hopefully in a good and satisfying way. I hadn’t considered how much a relationship with Rose would take, but it put a smile on my face. Happy Valentines Day Rose! Yes…you should ask all of my ex’s 🙂 lol.. And I’m glad I was able to put a smile on your face.!! Love your observations on the care and maintenance required to have healthy blooms! I don’t think you are in the minority. I heard a female radio host state several years ago that a single rose any other time of the year means more than a dozen roses on Valentines Day. Lisa received two hub caps to replace the ones scratched by curbs while parking. She was thrilled. My kind of gal.